Can you identify this culprit? Don't get me wrong, I LOVE butterflies! Really. But ..... I found this caterpillar eating my perennial hibiscus. I'd like to know if someone can identify this caterpillar. Take a look. What would this caterpillar have turned into? Sorry, I had to get rid of it, my plant comes first. And I blamed it on slugs, imagine that. 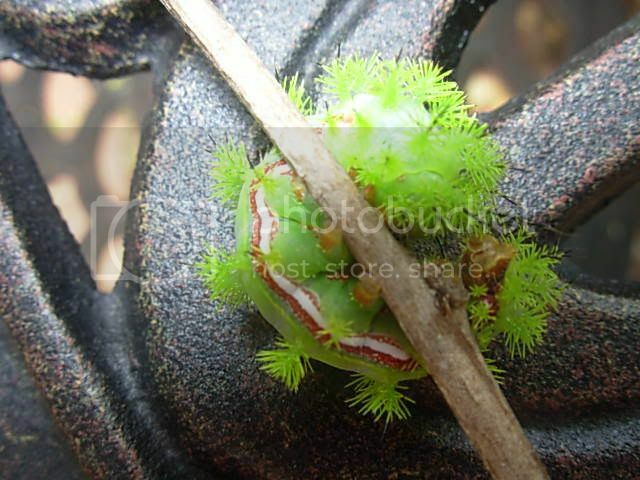 That is an Io Moth Caterpillar. By the way...those are some NICE pictures! Thanks for taking the time to identify this caterpillar. 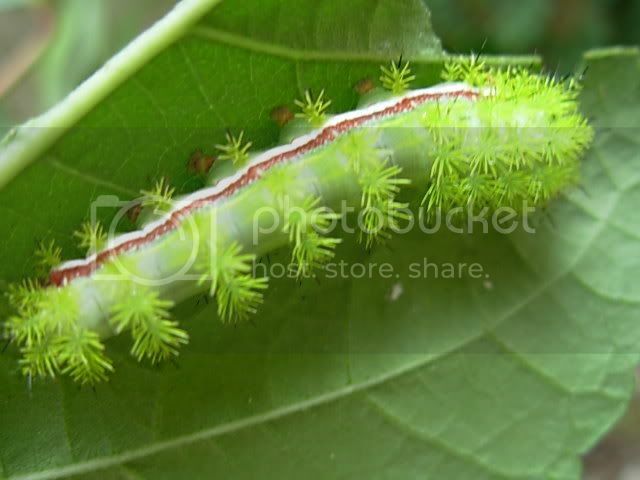 As a result of your identification, I was able to do a little research on "Io Moth Caterpillars", and ugggh, I need to watch out for these poisonous, venomous creatures. Thanks for the compliment of my pictures! It's one of my favorite pastimes. Thanks! I was a little disturbed after I did the reading on Io Moth Caterpillars too. Wow, ya'll, this is good info for all of us to be aware of. 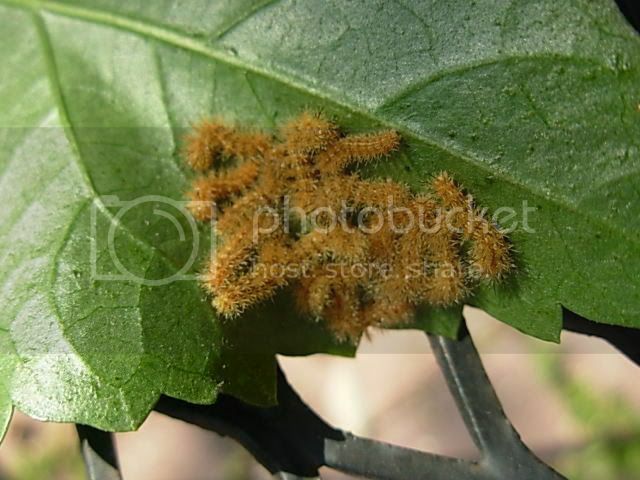 Well, I'm checking my hibiscus leaves everyday for these critters, very destructive. I found two adults yesterday, and babies as well. Then today, I found two more adults and this. Needless to say I'm not a happy camper about it.